Bob started wood turning when he was still very young. He remembers a story of when he was just 20 years old and he bought his first lathe from a Scotsman who had brought it all the way from England and showed Bob how to use it; from then on Bob has worked as a Journeyman Carpenter. Now a resident of the Sunshine Coast, PlumbBob manages his own company, Plumb Bob Construction, where he does turning for movies and other commercial applications. He also produces his own personal and original art. At one point, he was the Focus On Fundamentals Coordinator for the Greater Vancouver Woodturner’s Guild. 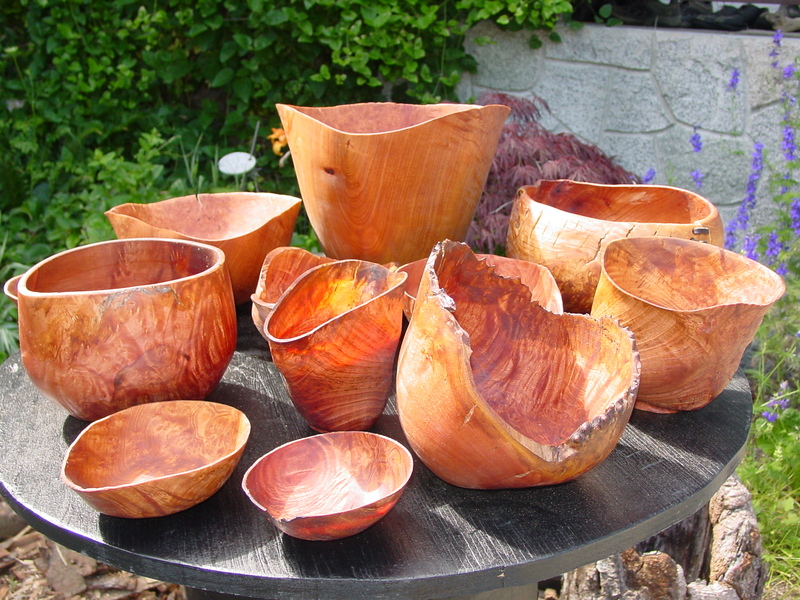 He continues to be a member of the American Association of Woodturning. Bob’s work, under the label “PlumbBob” can be found in many galleries on the coast. Bob was the Focus on Fundamentals Coordinator for the Greater Vancouver Woodturners Guild; moreover he is a member of the American Association of Woodturning.